Milan-based private equity group FSI has just bought a big minority stake in Missoni, the Italian family-owned fashion house. Just a few months before, FSI bought another minority stake in an Italian family business. 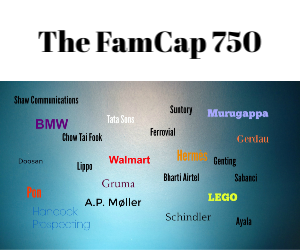 Minority acquisitions of other family businesses are likely soon. Last week, FSI paid €70 million to acquire a 41.2% stake in Missoni, which is based in the northern Italian town of Varese and has been family owned since it was founded by Ottavio and Rosita Missoni in 1953. Under the new ownership arrangement, second-generation Angela Missoni will remain president of the company. But FSI has appointed Michele Norsa, former CEO of luxury-goods group and family owned Salvatore Ferragamo, as vice president. Norsa joined FSI last year and is considered one of Italy’s top CEOs in the luxury/fashion sector, having grown revenues significantly for Ferragamo during his time there. Norsa also managed Ferragamo’s listing on the Milan Stock Exchange in 2011, which raised more than €340 million for expansion but only marginally diluted the family ownership. Such a strategy is likely to be followed by FSI with Missoni. FSI also bought a 28% stake in an Italian/German automotive components maker Alder Group in April. Founded in 1956 by Achille Scudieri, Alder is still owned by the Scudieri family and has grown into a billion-plus euro company with more than 11,000 employees worldwide. FSI said at the time of the acquisition that it plans to invest up to €200 million in Alder before listing the firm in the future. FSI has raised money from big institutions and sovereign wealth funds to make its acquisitions, which are based on the concept of “Made in Italy” brands, many of them family businesses. It is understood to have a fund worth more than €1 billion, so other acquisitions are expected soon. Among its staff of well-connected bankers is chairman Claudio Costamagna. The ex-Goldman Sachs partner is considered by many as one of Italy’s top bankers. Italy has one of the most vibrant family business sectors in Europe. But, despite this vibrancy, some big brand family businesses have struggled in recent years and found it difficult to adapt to an increasingly digital-oriented world, where global connections are becoming more important to their growth prospects. As a result, some are beginning to look for outside capital and expertise to help them progress. FSI, which says it will take a long-term perspective on its investment returns, is well-placed to take advantage of these needs.